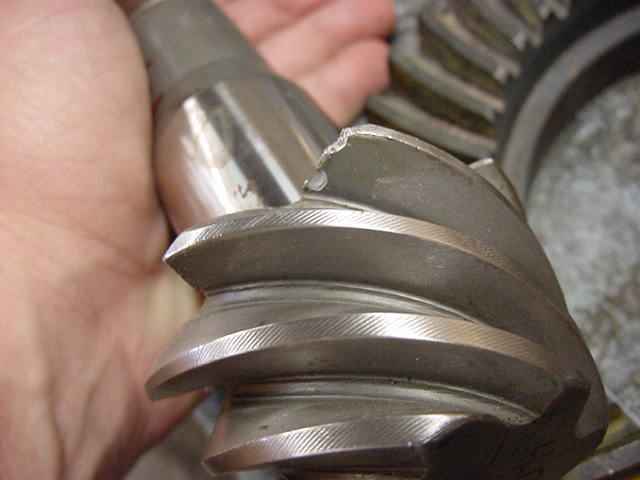 The GENUINE gears were just about to break...the only thing that saved them was the high carrier bearing pre-load. They were set about 20 thou too deep and made a terrible rumble on the trail. 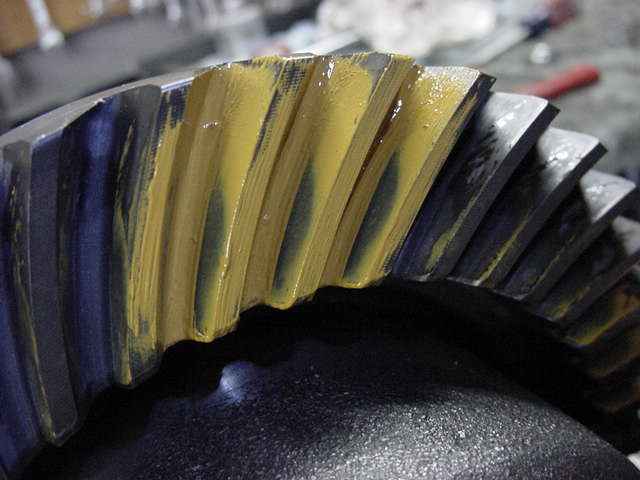 Flexor was hard on them for about 10 trail trips and the pinion teeth were just about to give up. 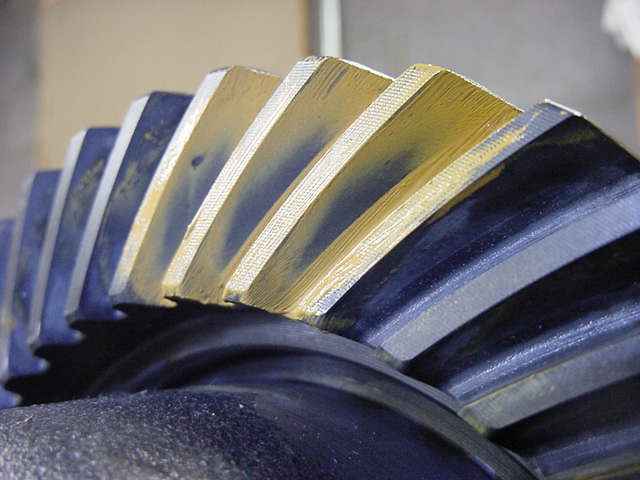 Time for quality gears. 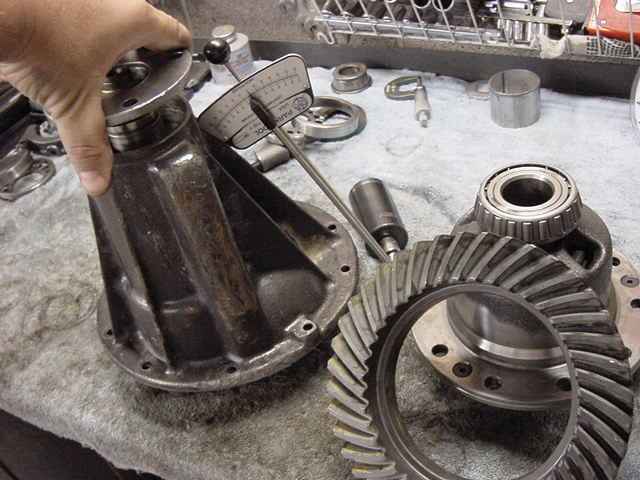 Just received..... the best......Precision gears back from the cryogenic treatment. 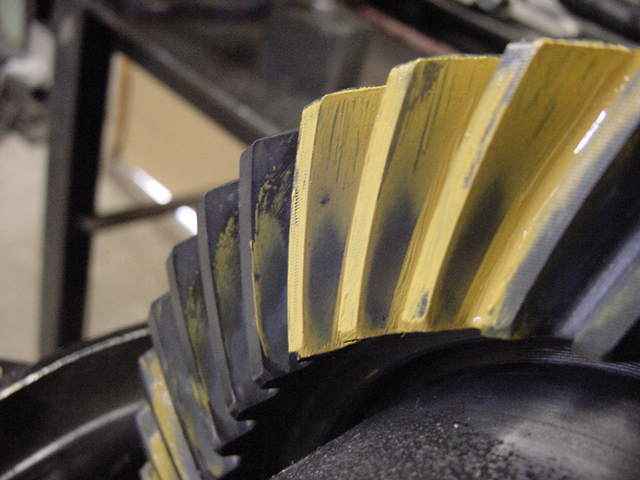 Besides being kinda grungy, the pinion was handled roughly during the cryo process. 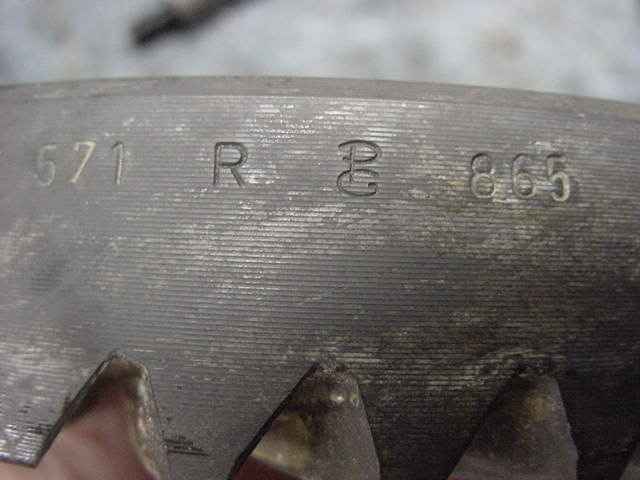 See the chips in the non-critical area. The PG emblem of quality....the cryo process did not change the color appearance of the gears other than the grunge that I wire brushed off. I used the file on them as usual and noticed no change in the file "feel". 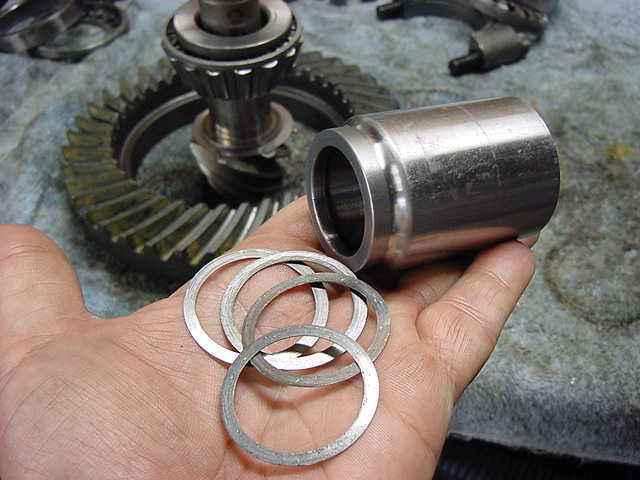 I am re-using the solid collar with the same .052" shim. 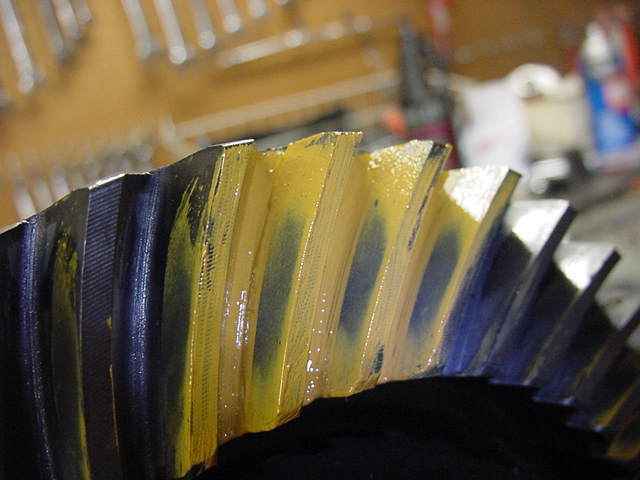 Blue loctite and 70 ft/lbs on the 10 ring gear bolts. 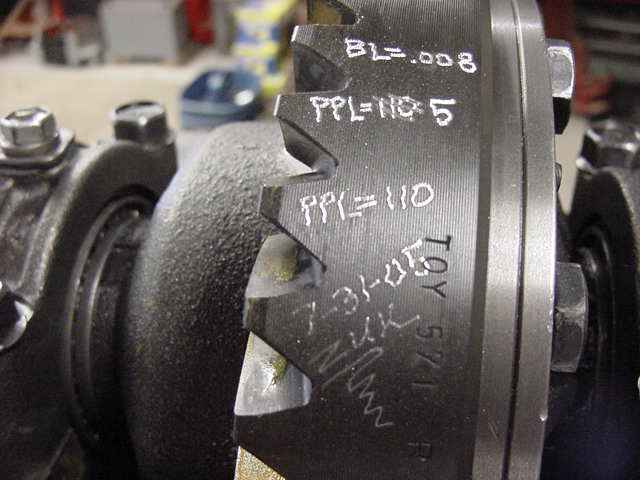 This is the easiest way to run the pattern....rotate the painted teeth close to the pinion and use a 17mm wrench on top to pass it back and worth a couple times. A one person operation and takes 3 seconds. 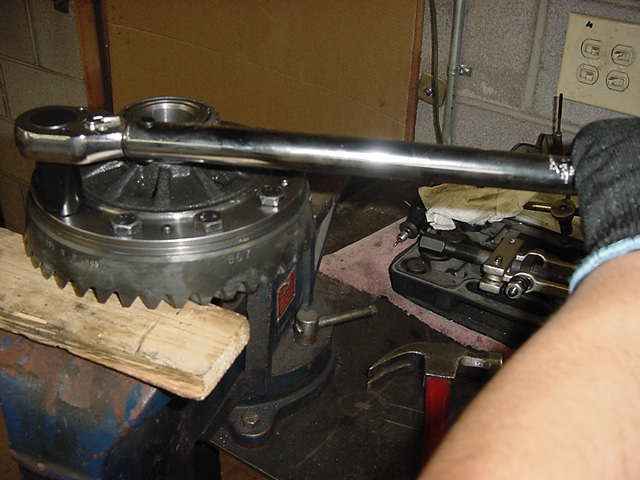 This does work slick and thank you, MAC from Randys Ring and Pinion, for this method. 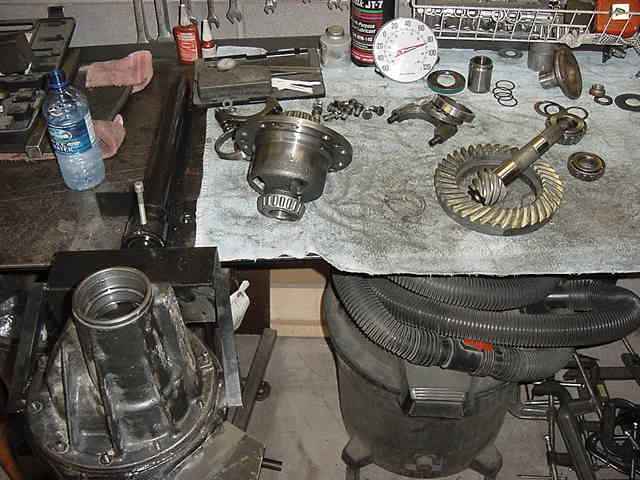 Drive side with .080"....too deep. 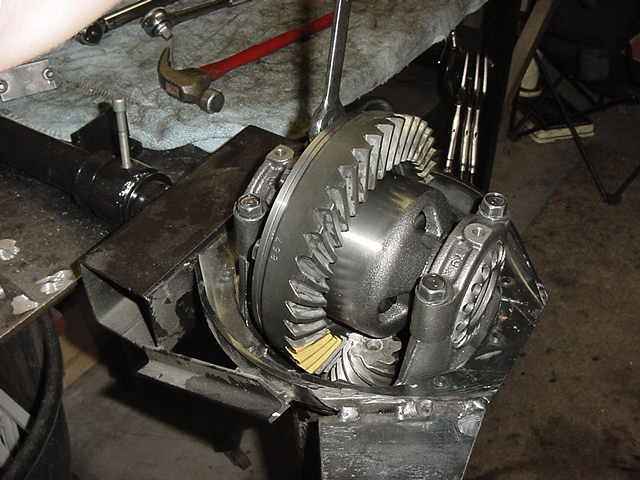 changed pinion shim to .072"....nice. 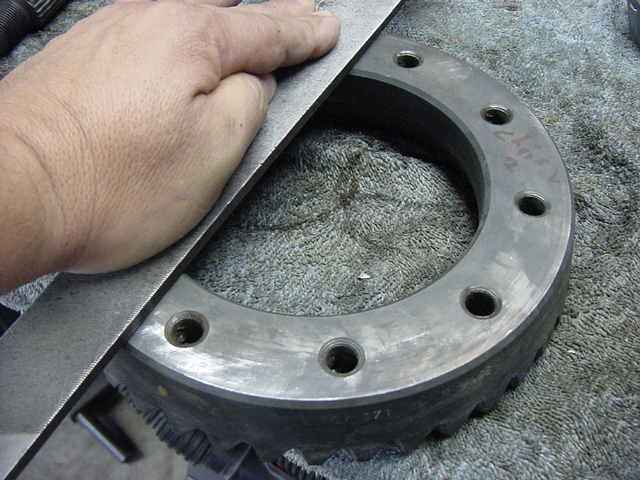 Tightened the carrier bearing spanner to 110 ft/lbs while using the tap tap method to sync the bearings. 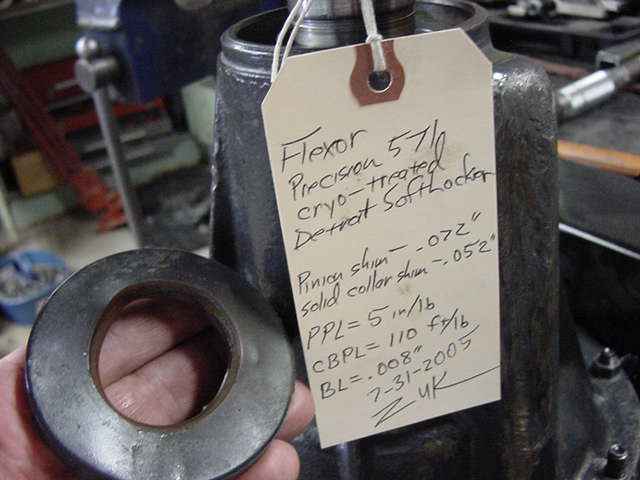 Cap bolts to 70 ft/lbs. Only thing left to do is a new seal and tap it on. 5 minute job and will take care of that tomorrow. Done.